A simple search for the definition of Realism or Realism art movement inevitably leads to one figure — French artist Gustave Courbet. His statement declared in a pamphlet following the rejection of his painting The Artist’s Studio from Paris Universal Expo in 1855 can be taken both as a definition and explanation of Realism. He only wanted to “know in order to do… To be able to represent the customs, the ideas, the appearance of my own era according to my own valuation; to be not only a painter but a man as well; in short, to create living art”. This statement although ushered during the period of Realism in France can find its application even today when modern and contemporary forms of realist subjects are examined. In what follows a short history of the development of Realism in visual arts and painting in particular will be outlined, with a focus on contextual changes that influenced the definition of Realism and Realism art movement through the ages. It is important to note, however, that Realism is not an art movement pertinent solely to visual arts but to literature as well. Realism as a literary genre relates to subject of human condition and realist representation of people and their social life. In the 19th century realist writers such as William Dean Howells and Henry James used such themes in their work. Any research in art and theory of realism should not avoid two important, if opposing voices that influenced general understanding and definition of art and realism in particular. 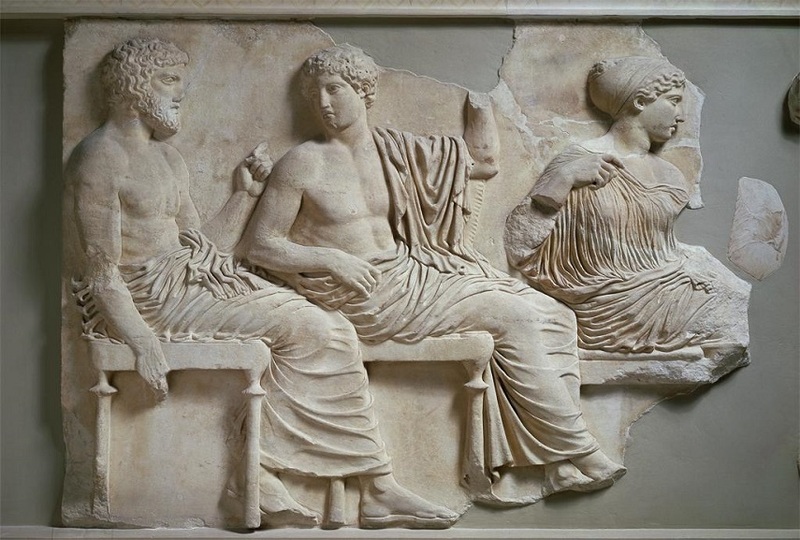 Aristotle and Plato had awarded art different purposes—both related to free copying of forms artists see. For Aristotle painters copy and perfect forms that are present in nature in order to learn and teach others about these objects, while for Plato painters copy forms from some abstract, ideal world. Although both dealt with the real as a starting point, their understanding differs regarding the reality the artists aim to represent. However, the foundation for understanding art as mimêsis or a copy of reality was laid, and will influence many artistic and theoretical approaches in the future.Realism in art has a long standing history. It can be roughly divided into two subgroups both defined by the choice and treatment of subject matter rather than by the attention to visual appearance. From early Upper Paleolithic representations of animals to Greek, late Medieval and early Renaissance art realistic and naturalistic representations were marked by idealism, and representations of religious or historical themes. Ordinary or mundane subjects slowly emerged in art first in the form of Drolleries and more openly in art from 15th century onward. Although religious imagery in Caravaggio’s time sought to represent dogmatic truths and biblical events realistically, any resort to the everyday was rejected as inappropriate and offensive. Caravaggio’s Madonna di Loreto, among other of his known works, broke decorum of the time by prominently showing two pilgrims and their dirty feet at the fore of the painting. Beside naturalism, criticism was also directed towards the plain appearance of the Madonna who could be easily mistaken for any other woman. Caravaggio often used people from lower class such as famous prostitutes as his models, which more than once lead to shock and rejection of his works by commissioners. 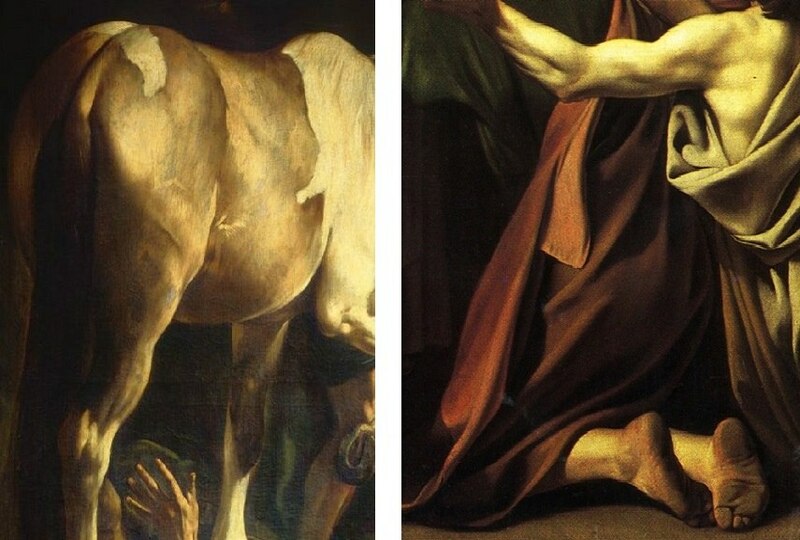 Another example is Conversion of Saint Paul where horse’s behind takes central stage, while Saint Paul is prostrated on the ground. Such and similar paintings oscillate between the naturalism of the everyday and required idealism of the religious events—or going back to Plato and Aristotle—between the mimêsis of objects painter sees in life and those that should have been seen and represented. Although many may link trompe-l’oeil style of painting with realism, trompe-l’oeil actually strives to imitate the real, and the style came from the will of artists to fool the viewers into believing that what they see is real. While realism strives to represent rather than imitate, trompe-l’oeil creates an illusion of free and open space through forced perspective often employed on walls and ceilings, as well as in depictions of objects in three dimensions. 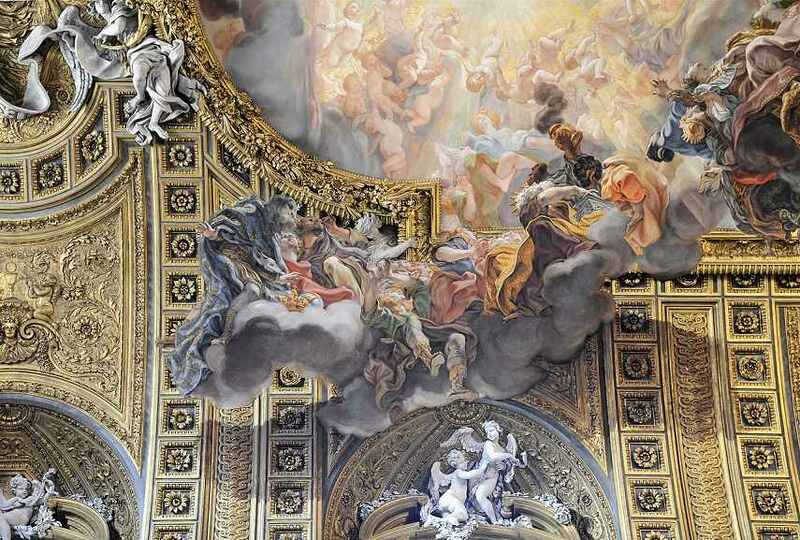 The early examples go back to antiquity and preserved murals from Pompeii, while the best know examples of trompe- l’oeil were created on ceilings and walls of Baroque churches and palaces. Gustave Courbet – The Stone Breakers, 1849. Image via wikipedia.org. 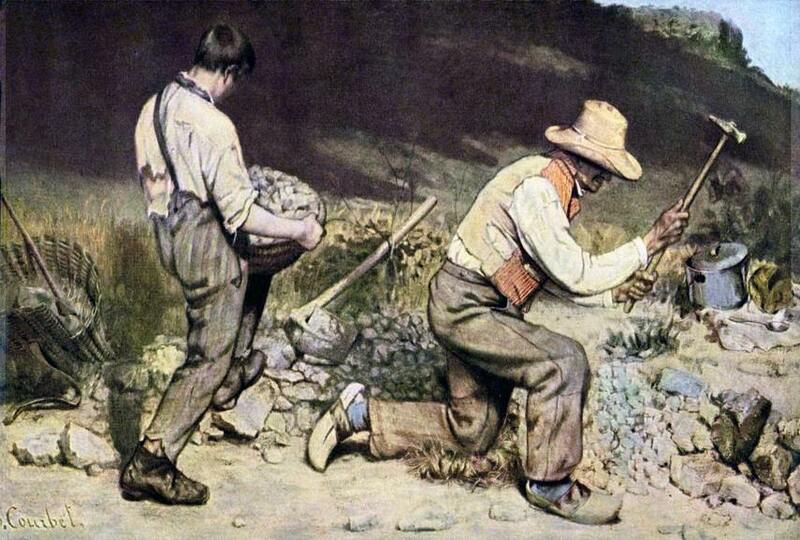 Hailed as a flag-bearer for the whole movement, Courbet’s painting The Stonebreakers from 1849 contains novel elements that would define Realism—ordinary subject raised to a level of symbol of human struggle, realist depiction of modern class society, and most importantly display of beauty and dignity of human toil. Developed in the United States in the first half of the 20th century, these art movements had in common general interest in the surroundings and reality of modern life. Painters of Ashcan school (1908-1913) found inspiration in streetscapes and genre scenes. They chronicled life in New York, and although the school was of short duration, it had significant influence on American art scene. Among the well-known members of the school were John Sloan, George Luks and George Bellows. American Social Realism (1920s – 1930s) was directly influenced by Ashcan school. Artists belonging to Social Realism such as Ben Shahn, Edward Hopper, Jack Levine or Jacob Lawrence depicted social issues and hardships during the period of Depression. Precisionists, Charles Sheeler, Charles Demuth and Georgia O’Keeffe worked in the same period with a slightly different aesthetic style. They employed the aesthetic principles of Cubism and Futurism in their depictions of industrial and urban landscapes for which they were also referred to as ‘Cubist-realists’ and their style as ‘sharp-focus realism’. Dramatic changes on the art scene that mark the end of the 19th and the beginning of the 20th century side-lined Realism to the back of the artistic interests, but after the World Wars Realism came back with a vengeance. Not only was Realism now again present, but it took the place of official art among the new Communist states of Eastern Europe. 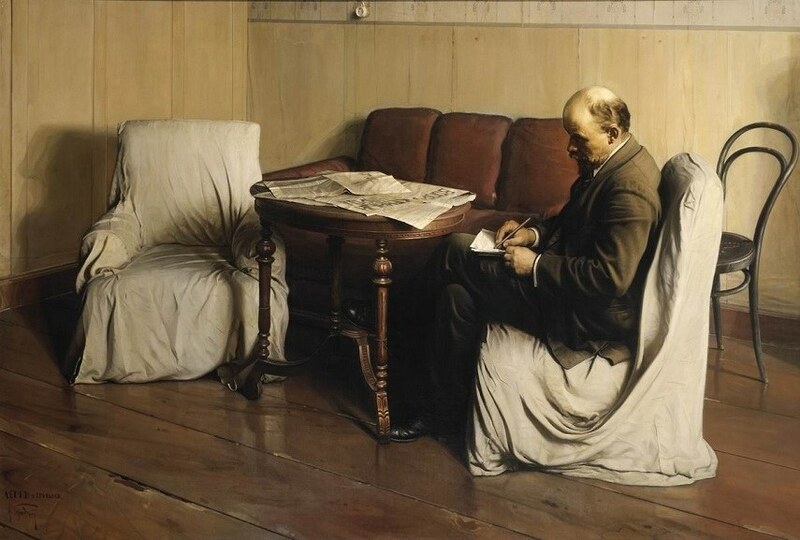 Unlike historical and Social Realism and their interest in workers’ lives and struggles, Socialist Realism became institutionalized artistic practice with heavy ideological backing. Different themes came to preoccupy painters, who were guided by official politics in depicting scenes of satisfied workers and their leaders who are together building a better future. 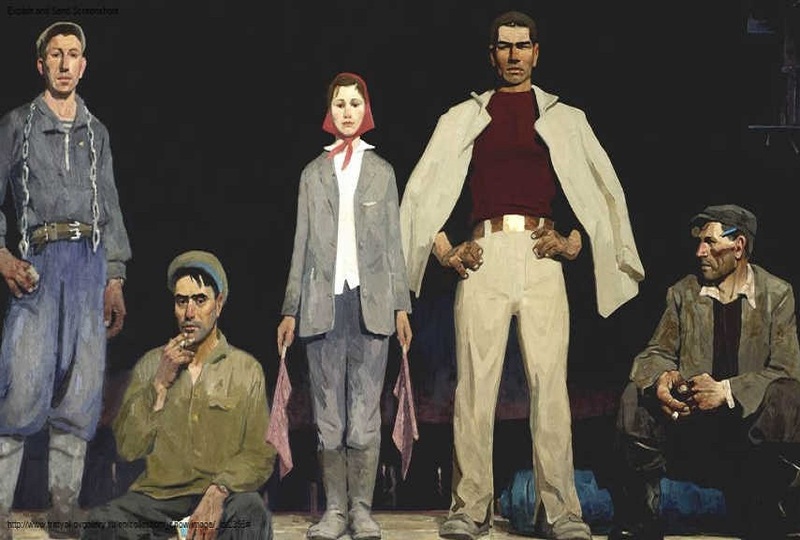 Socialist Realism became the official art with clear guidelines of what can be represented—realist scenes that workers can easily understand taken from everyday life and supportive of the state’s aims. With the development of photographic technique and increased presence and use of photography from the beginning of the 20th century onward artists tried to discover other styles and techniques that would continue to be relevant in a world now easily represented through the photo camera. Everyday reality became not just redundant as a painterly theme and theme in literature, but artists soon realized that in order to compete with photography they needed to turn to other realities as well. The development of avant-gardes from the early 20th century and break with tradition saw the development of several artistic movements that intervened into what was understood as realism and brought to the foregrounded of their works the underbelly of the phenomenal world. Coinciding with the development of psychoanalysis, new interest emerged in individual experience and individualized realities where naturalism relates to the realities of the unconscious. 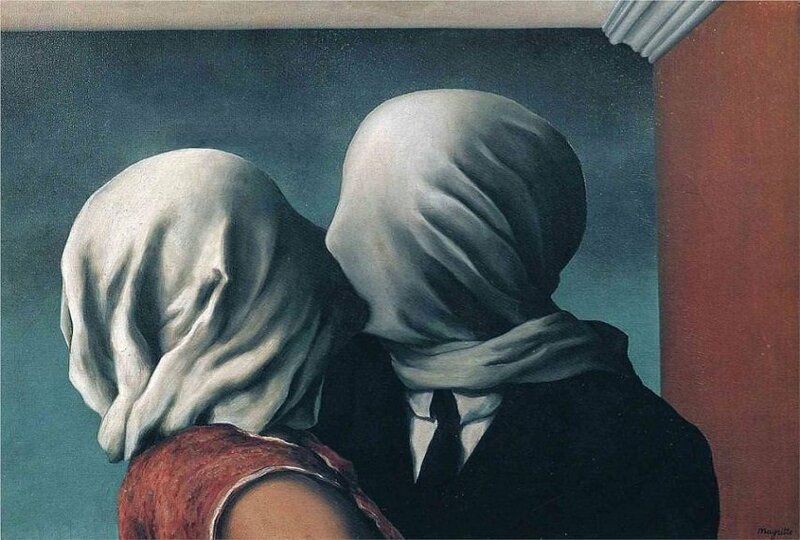 Surrealists in the likes of Paul Éluard, Max Ernst, Salvador Dalí, Man Ray, Hans Arp, Joan Miró, Marcel Duchamp, and Yves Tanguy turned to explore the unconscious reality, nightmares, fantasies and desires, often mixing everyday objects and familiar forms with phantasmagorical motifs. Developed from the Dada movement in the 1920s Surrealism responded to the horrors of the World War One through depiction of reality that lurks behind the conscious mind of each individual. This art movement emerged around 1920s in Germany, and was directly influenced by Metaphysical painting of Giorgio de Chirico and other Italian painters. Return to reality following the war came as a consequence of disillusionment; abstract art was no longer adequate and different aesthetics was needed in order to criticize and represent the horrid state of the post-war society and its leaders. Neue Sachlichkeit or New Objectivity emerged in two variations—the one preoccupied with objects and the other more critical and engaged with the everyday. 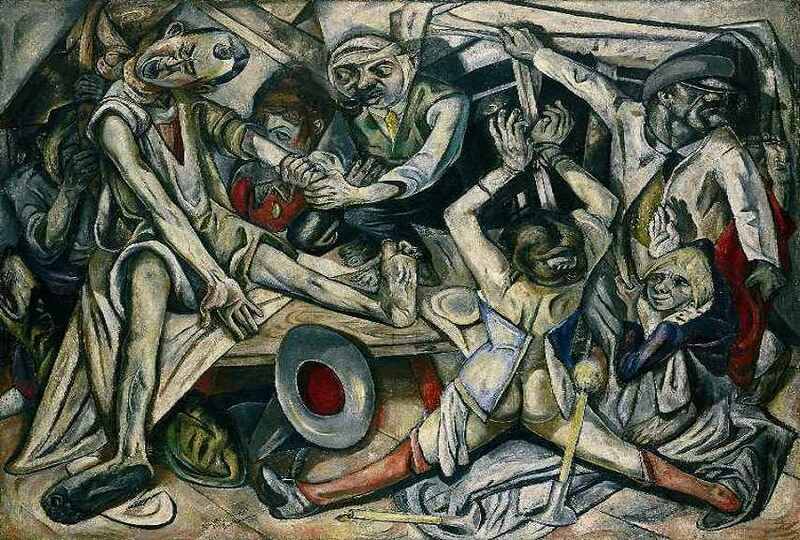 Works of Otto Dix, Max Beckmann, and George Grosz are among the best examples of this movement. 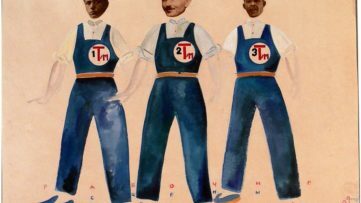 Not concerned with veracity of representation, the artists of Neue Sachlichkeit aimed to show mind sets and realities that lead to European disaster. Pop Art came to art scene as a response to Abstract Expressionism and its intellectual style devoid of contacts with the phenomenal reality. 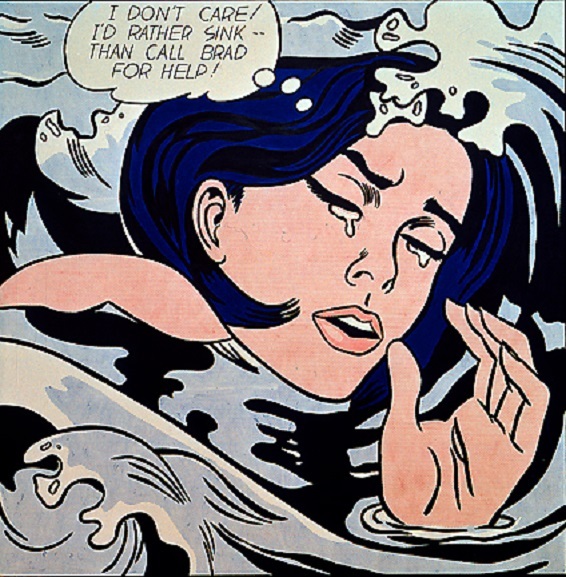 Pop artists such as Jasper Johns, Robert Rauschenberg, Roy Lichtenstein, David Hockney, and Andy Warhol focused on the objects and themes from mass or popular culture and developed a critique of the market system and intellectualism in art through their realistic depictions of mundane subjects. In modern and contemporary art Photorealism developed as an opposing artistic style to Abstract Expressionism and Minimalist Art. 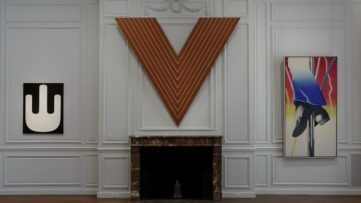 Originating in the US in the late 1960s and ‘70s Photorealism evolved from Pop Art and is marked by the use of photos as a basis and reference from which artists develop their works. 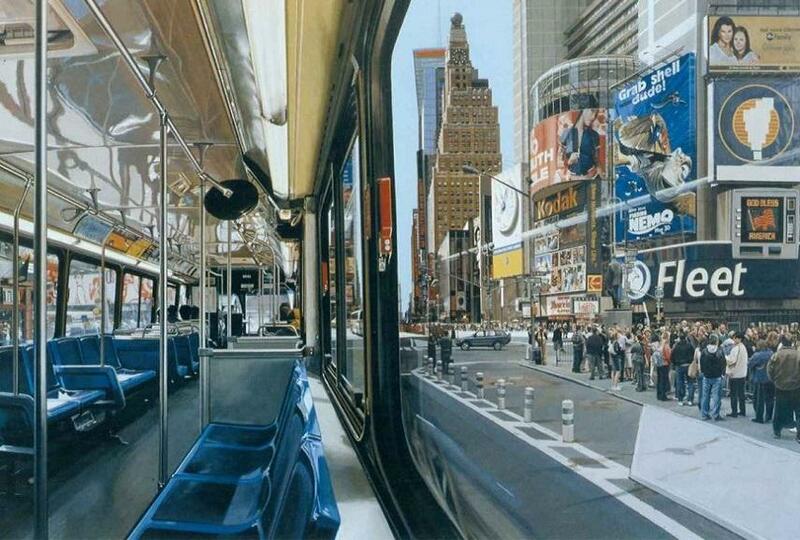 The process of creating photorealist art includes photographing of a desired object and its later transfer on canvas. 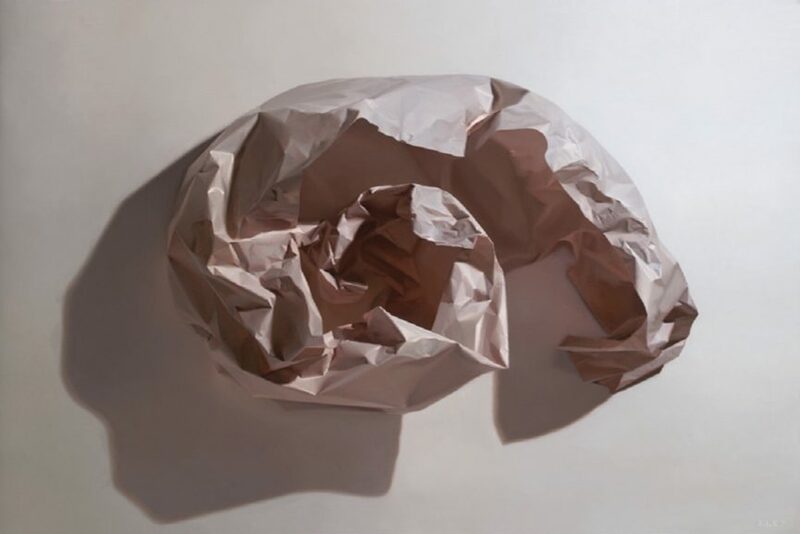 Criticizing the abundant presence of photography, artists of Photorealism aim to depict reality as truly as possible in painting, drawing or graphic media. 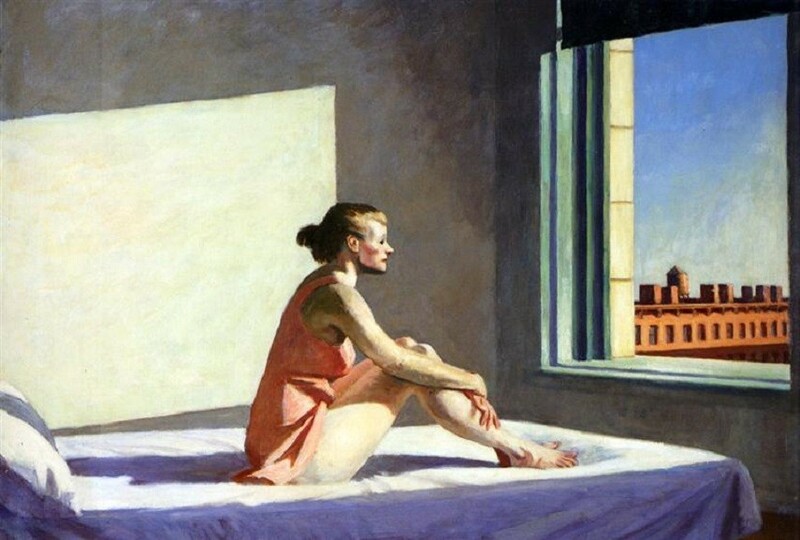 Prominent American photorealists include Robert Bechtle, John Baeder, Richard Estes, Tom Blackwell, Ralph Goings, Chuck Close, Charles Bell, Audrey Flack, and Don Eddy. Hyperrealism, another form of artistic realism is often considered a continuation of Photorealism. The difference between the two comes from the advances in technology that are now allowing artists to create more detailed photos and to focus on minute details that were previously inaccessible. Along with attention to minuscule detail, hyperrealist works differ from photorealism in general expressive power. While photorealists’ works are generally cold and disinterested, done in precise, mechanical style voided of any political or social engagement, realism of hyperrealists rely on depiction of motifs that seem to possess more light, vibrancy and texture than the referenced objects. 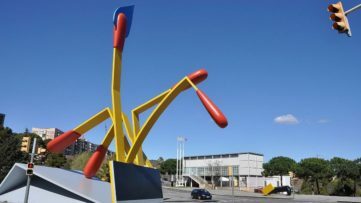 In addition, the forms and objects are often combined in a way that cannot be seen in a real life, creating often imaginative reality enriched with layers of emotive, political and cultural content. Some of the painters that excel in this type of realism include Denis Peterson, Gottfried Helnwein, Robin Eley, Jessica Hess, Zaria Forman, and Elroy Morales. Viktor Efimovich Popkov – The Builders of Bratsk, 1960. As Linda Nochlin cautions, Realism never comes unencumbered with contextual meanings. To understand one’s time and reality observation plays an integral part, but idea that Realism art movement is just an accurate rendering of reality seems too narrow and flawed to endure any serious test. 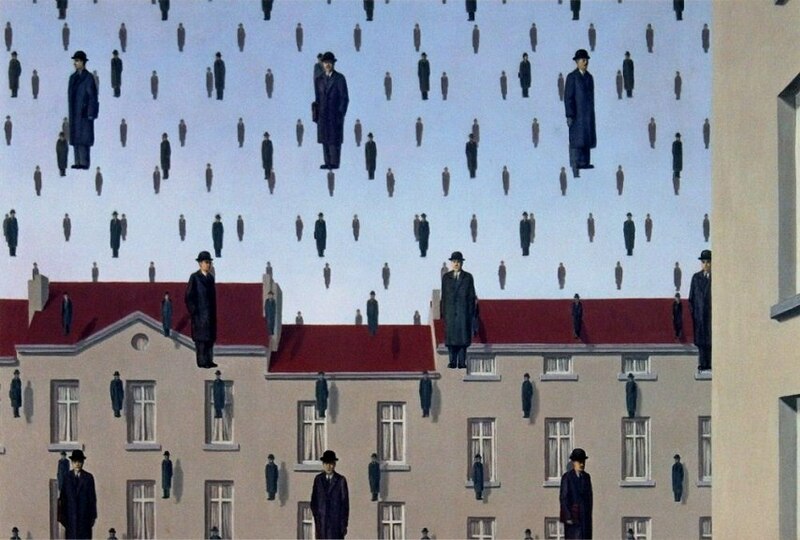 Whose reality Realism represents? Who holds the power to represent? And what one may choose to represent are just some of the questions that suggest the complexity of meaning word Realism holds. As shown from different artistic and historical periods above, definition of Realism and Realism art movement changed through ages often in correspondence to general social, political and cultural tendencies of a time. One element that remained constant, though, was and is a need to show one’s time as accurately as possible, which does not always imply visual veracity. In this book, Linda Nochlin, one of the most prominent contemporary art historians, gives an overview of Realism and contextual and historical circumstances of its development. She uses examples both of European and American Realism in order to show the prevalence of this art movement in the 19th and 20th century. She succinctly explains some misconceptions this term may produce, and makes a clear distinction between reality and realism. The book is a good basis for anyone interested to know more about this important historical style, and is illustrated with artworks of American, German, French and Italian Realists. Lombardi L.,(2008), From Realism to Art Nouveau, p.8. Ruckstuhl F. W., Idealism and Realism in Art, p.253. Friedlaender W., (1955), Caravaggio Studies, p.121. Lombardi L., From Realism to Art Nouveau, p.9. Juraga D., Booker K. M., (2002), Socialist Cultures East and West, p.68. Ruhrberg K. et al., (2005), Art of the 20th Century. Painting, Sculpture, New Media, Photography, p.186. Meisel L. K., Chase L., (2002), Photorealism at the Millennium, p.15. Nochlin L., (1992), Realism, p.10. Featured images: Gustave Courbet – Le Sommeil, 1866. 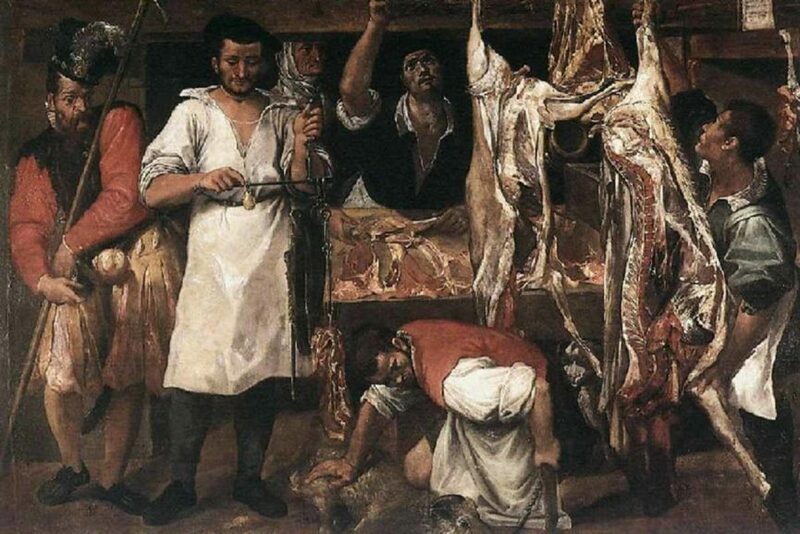 Image via wikipedia.org, Anibale Carracci – The Butcher’s Shop, 1583. 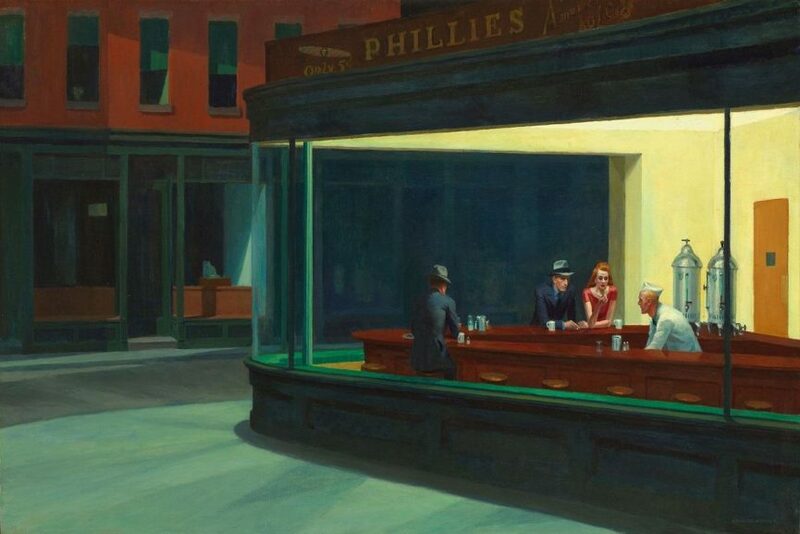 Image via wikipedia.org, Edward Hopper – Nighthawks, 1942. 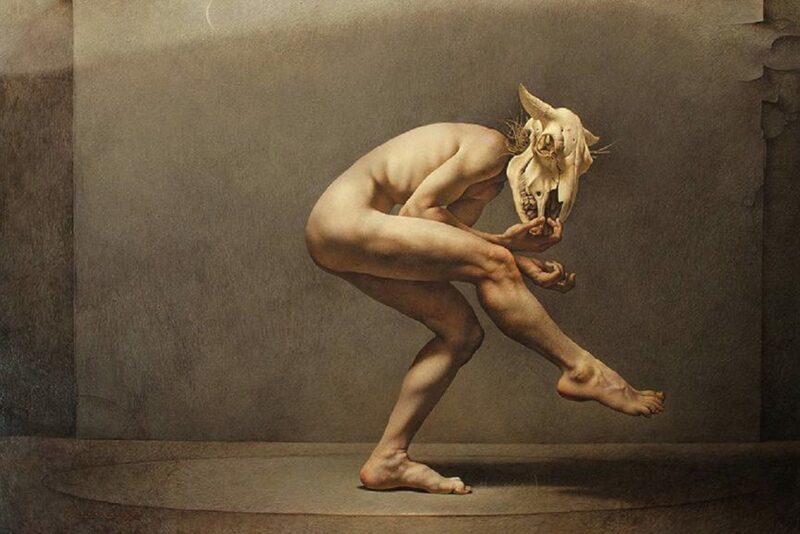 Image via wikipedia.org, John Jude Palencar – Pagan, 2014. Image via widewalls.ch, Robin Eley- The Nautilus Series-Hypostasis 2. Image via robineley.org. All images used for illustrative purposes only.